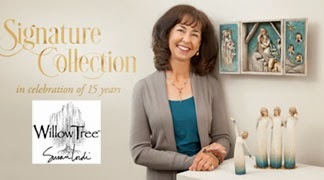 Joan Beiriger's Blog: Art Licensing Editorial: What Makes the Willow Tree® Brand Such a Success? Thanks so much for this wonderful post. The information here is extremely helpful to me on multiple levels. 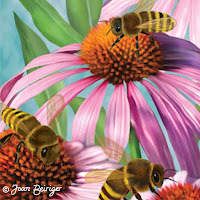 I am an art educator as well as being an artist working to establish a brand for my illustrations. I also create small sculptures of my Labrador Retrievers. It is interesting to read the way Susan has been able to achieve mass appeal for her sculptures while maintaining her fine art aesthetic. The post is also a great reminder to draw upon our own experiences to create artwork that has an emotional connection with the customer. I always look forward to your posts and I appreciate the time and effort you put into sharing such helpful information. Thank you for such a helpful, inspiring and unique post. It was good to be reminded of design techniques and how they impact the viewer, like negative space and allowing the viewer to fill in from their own experiences and how a piece of artwork can become personally more meaningful when the viewer is allowed to do this. Joan, good to "hear" your voice through this informative and interesting article. Love you pointed out her drawing upon her own emotional connections. What she knows and cares about comes through in her work, which then appeals to a large audience because the personal touch is there. Thanks Peg! Actually Karen Lordi, Susan's sister, wrote the poetic paragraph about Susan using her personal interactions and feelings when she creates her figurines. I feel very fortunate that Karen agreed to edited the article before I posted it and added that special paragraph. It illustrates what all artists should remember when creating their art.